As customers become exposed to a cascading list of product choices, store choices, and information sources, the opportunity exists to connect all the communications about any specific brand and product into a single consistent, coherent message relevant to the individual customer’s needs. 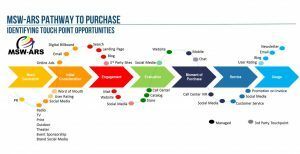 The customer journey has emerged as the concept that provides the opportunity to best deliver an integrated marketing communications approach at an enterprise level. 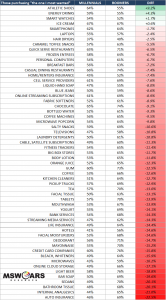 All brands are vulnerable to losing customers through a single bad experience. Brand strength is created through a history of positive experiences. Every characteristic of the brand involves communications and relies upon communications for success. 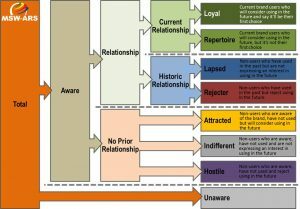 The customer journey concept is an extension of past models for consumer decision-making. Traditional and digital communications must be integrated which requires their development processes to become integrated. 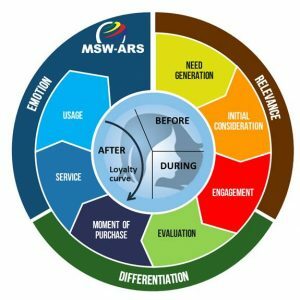 All the functions involved still rely upon key, evidence-based, branding concepts – The MSW-ARS RDE model for brand-building links closely to the customer journey map for any defined product segment. The opportunity exists to apply common metrics that measure short-term and long-term communications success across functions, within functions, and within elements of each function, across a customer journey. Metrics that truly capture the reality of the interactive contact at each touch point along the customer journey must be evidence-based to ensure unified direction and consistent execution across organization functions for delivering an integrated communications approach. 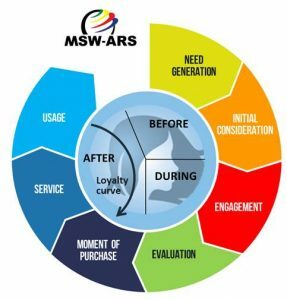 MSW-ARS solutions for each step of the journey contain the Customer Commitment Preference metric that is more sensitive to immediate unit share and brand franchise shifts than any other metric in the market. The validated connection between Customer Commitment Preference and customer lifetime value enables the team to know precise return-on-investment for each individual element and the collective program across functions. To capture thinking (cognitive) and feeling (emotive) measurement requires empirically proven metrics that can uncover both the stated and derived importance of each touch point and communications for assessment of both expectations and delivery to expectations. 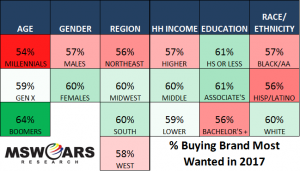 MSW-ARS has developed empirical evidence of how communications work that can accurately connect short-term sales and long-term brand development to the performance of the individual and collective touch points in the journey. Neuroscience-based, unconscious measurement of derived importance uncovers un-voiced concerns before they become lapsed or lost customers. 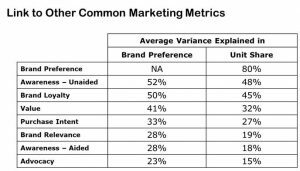 Category measurement of attitudes and usage across all measurements and media formats to identify opportunities to get things right at the beginning and deliver a consistent, coherent message. Research on how communications works has been conducted across the MSW-ARS, fifty-year, database. The evidence clearly indicates that the key message of any product is built into the product design. 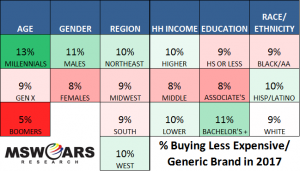 This was reported most recently by the MASB, the Marketing Accountability Standards Board at the 2017 Annual Conference for the Advertising Research Foundation. Therefore, the opportunity for integration of the various communications programs must start at the beginning. The MSW-ARS Sifter product has been designed specifically to measure the strength of the Value Proposition. Additionally, the approach provides an assessment of effectiveness in delivering this value proposition that can be attributed to various communications elements and that can be applied in long-form and short-form content for scaling across every customer touch point. Ensuring that the communications program has an effective launch. Supports first mover growth opportunities for the brand. Provides the foundation for insights at the need generation stage and future learning from AI contacts. Can be integrated into decision-support, desktop applications to help serve as a cross-functional theme for coordinated, daily message responses. Ensures delivery of the fundamental, brand value proposition across all touch points. The MSW-ARS TouchPoint product is also founded on more than fifty years of empirical evidence for how communications work. The successful application of this solution and the certainty of its ability to predict results and lower business risk have been proven in a study by the MASB involving multiple communications research firms across twelve categories. The MASB study results have been presented to the ARF and the AMA, written about in The Economist, The International Finance Review, The Journal of Brand Management and CFO Magazine, and has been discussed with the IASB (The International Accounting Standards Board). 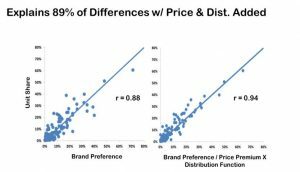 Customer Commitment Preference is linked to Market Share & Cash Flow and hence to the NPV of the brand. The Touch Point solution is flexible to allow brand teams to intervene and test any point along the journey at any time to develop empirical knowledge for continuous improvement. Effective communications during the consideration, engagement and evaluation stages lead to inclusion in the consideration set at the first moment of truth when the purchase is made. Communications then strengthen the purchase and remove dissonance at the second moment of truth when the customer receives service for the product. Application of the MSW-ARS ACCU*TRAK solution allows company and brand teams to invest resources at a precise point in the journey that will most effectively improve both the contribution of that single touch point, but, more importantly, the overall unit share results sought by each of the various marketing functions. Organizational changes indicate that brands fully understand the need to integrate the various functions, but, don’t yet fully understand how to link them in an effective manner. MSW-ARS has an answer to this need that will allow brands to move ahead of their competitors in making this critical adjustment to finding common ground… cross-functional, evidence-based metrics that will enable marketing organizations to successfully implement integrated marketing plans across each customer journey. Relevance is THE word that seems to appear in all marketing discussions. The reason is simple. The attention span in a time-starved world is rapidly shrinking. No one pays attention to anything that is not personally relevant and people just do not have the bandwidth to make things relevant that don’t obviously fit with their present lifestyle. Events can force a pause in the daily routine. The excitement and transcendent nature of events can shift the context of how a past and potential brand user sees your brand. Differentiation for a brand can be driven by the halo impression on event attendees and non-attendees. Events provide a torrent of communications with touch points for both attendees and many non-attendees. Each contact made is an opportunity for the brand to enhance its meaning through association with event attributes. Events are emotional in nature. They force those who experience them to react in a big way. The emotional response is immediate. So, the real question for brands is whether the attachment from event to brand can be carried out the door once the event is over. Events as marketing programs behave, in effect, as small campaigns. To deliver energy to the brand, the event must deliver relevance, differentiation and emotional attachment impact across all touch points individually and collectively. To measure this energetic infusion properly requires recognition of both the immediate, in-the-moment and the lasting impact of the event on the brand. 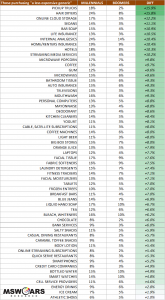 2014: A year for radical change in advertising formats?